Perfectly situated on the west coast of Barbados, The Sandpiper boasts stunning white sandy beaches and turquoise waters right on its doorstep. Surrounded by tropical flora, the hotel strives to provide a luxurious and sophisticated atmosphere, with friendly staff on hand for an added personal touch. Spend time relaxing by the pool or the beach, or head into the sophisticated area of St James, where the finest restaurants and hotels are to be found, as well as golf courses and polo grounds. Or, go snorkelling in the beautiful reefs found at the beaches at nearby Holetown. Guests are treated to a wide range of water sports, including windsurfing, snorkelling, and kayaking. 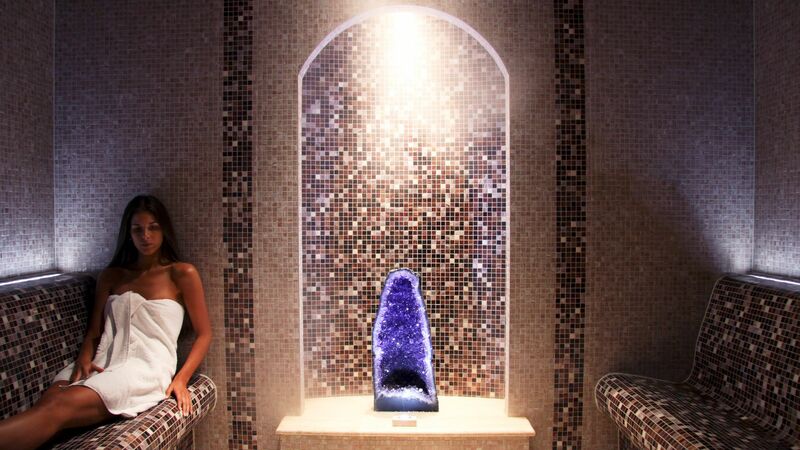 Those looking to truly indulge can head to the spa, where a range of treatments are waiting to be enjoyed inside a tropical paradise, complete with waterfalls and exotic flora. Enjoy a unique dining experience at The Restaurant, which offers European and Asian flavours with a Caribbean twist for a real culinary treat. 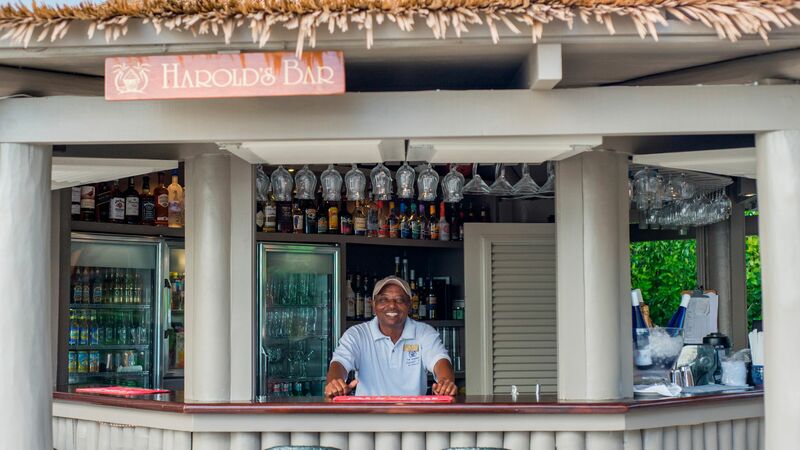 Make sure to head to Harold’s Bar in the evening to watch the fabulous sunset with a cocktail. Hotel child prices apply to ages 2–11 years. This hotel has 63 rooms. The menu at The Restaurant changes five times a week, offering cuisine using European and Asian techniques with a Caribbean flair. Enjoy picturesque views over the Caribbean Sea with a delicious al fresco lunch or refreshing cocktail in hand. Watch the waves lap against the shore, while you enjoy a meal from the award-winning restaurant, which overlooks the white sandy beach. The Sandpiper is home to two swimming pools. Choose to take a dip in the mosaic tiled pool or practise your strokes in the 60 foot lap pool. Indulge in a range of deluxe treatments inside a spa centre designed like a tropical paradise, complete with waterfalls and exotic flora. 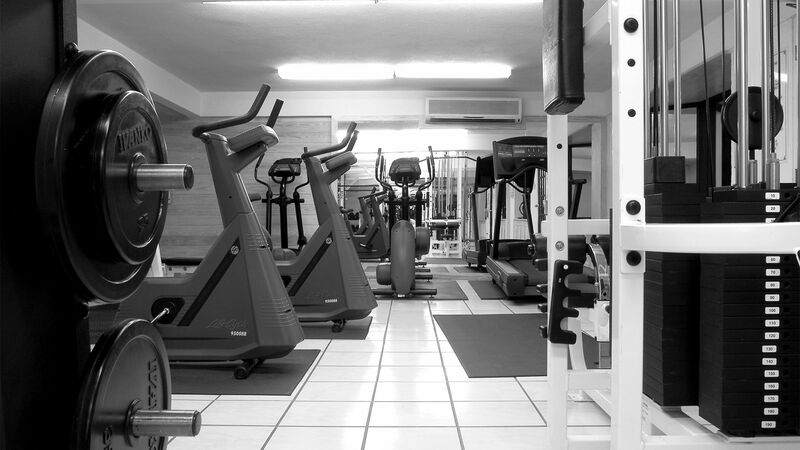 Those wanting to keep active during their stay can use the fitness centre, which is equipped with treadmills, rowing machines, cross trainers and dumbbells. A range of water sports are on offer and include water skiing, windsurfing, snorkelling and kayaking. Guests can enjoy the floodlit tennis court and even take complimentary coaching lessons. The charming town of Holetown is nearby, and offers a selection of exclusive shops, restaurants and bars, as well as a beach offering excellent snorkelling in the colourful coral reefs. If you fancy a game of golf, or boat trips along the unique coastline, there are plenty of options available nearby. 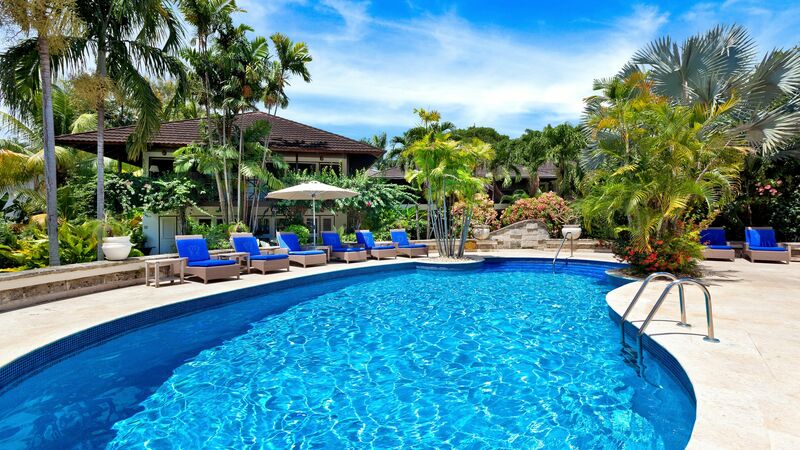 The Sandpiper Hotel is situated 35 minutes from Barbados Airport. Elegantly designed, featuring a furnished balcony or patio for guests to relax. Garden Rooms have either a king size or twin beds. One Bedroom Suites are spacious and offer a separate bedroom with king size or twin beds, en suite bathroom, a living area and small kitchenette. Views of the gardens and pool area can been seen from the furnished balcony or patio. Beach House Suites consist of a bedroom with king size bed, dressing area and bathroom, separate living room with sofa bed and a large covered patio with wet bar and sun deck. Two Bedroom Suites feature two king size or twin bedded rooms, two bathrooms, a separate living room with sofa bed, small kitchenette and a large patio or balcony. Consists of a bedroom, living area, dressing room and bathroom with walk-in shower and oversized bathtub. The suite also boasts a sundeck with private plunge pool and views of the ocean. Tree Top Suite Curlew is located on the ocean front with uninterrupted sea views. It features bedroom, spacious living room, dressing area and a bathroom with large walk-in shower and separate tub. Outside, there is a large covered terrace with wet bar and sun deck with plunge pool. Stay 7 nights and pay for 6 nights for holidays between 09 May - 31 October 2018. Stay in a Garden View Room or One Bedroom Suites for 7 nights and pay for 5 nights for holidays between 10 - 14 December 2018. Honeymooners will receive flower and a fruit basket in their room upon arrival for holidays between 15 December 2017 - 14 December 2018. An amazing Christmas and New Year spent at this hotel. The staff are all fantastic, friendly and working so hard for every single guest. They make every person feel special and constantly put themselves out to help. Food is of a high standard and of course the location is superb. The effort on Christmas was so nice. Father Christmas arriving on a motorbike, presents for the kids, Christmas dinner was unbelievable and the entertainment just incredible. New Years the fireworks created such a good atmosphere and experience. The reputation of this hotel speaks volumes and it?? ?s up there with the very very best in Barbados. Thank you to everyone at the hotel for making our stay so good! My wife and I recently spent 11 days at this charming hotel. We had a lovely room, the restaurants (both the main restaurant and Harold's Bar) were very good and the service was excellent without exception. 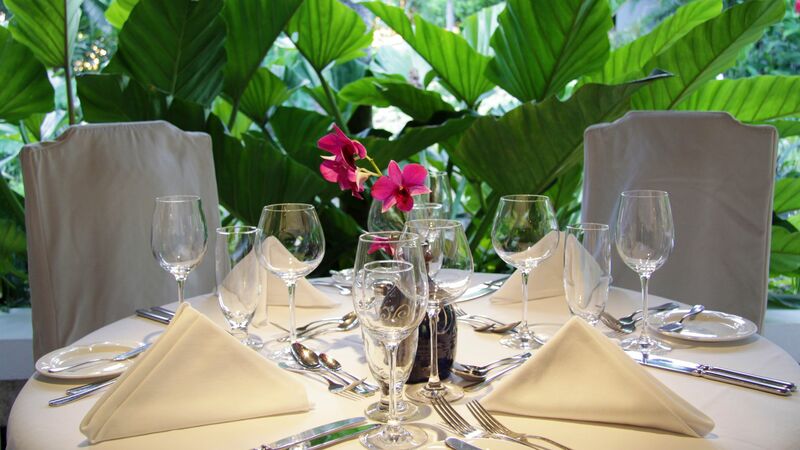 This small hotel of only 50 rooms is set in lovely, tropical gardens, which are well looked after. It backs onto a stunning sandy beach, with good swimming. It is only a short walk into Holetown, which has numerous other dining opportunities. We cannot recommend the hotel highly enough and will certainly be returning. Such a fabulous hotel we had a tree top suite and it was worth it. Massive terrace up in the trees with its own bar dining table and sun beds and a plunge pool on our terrace. Lovely breakfast had everything to offer. We ate once in the dining room - quite a limited menu but there are so many fabulous restaurants nearby it wasnt an issue to eat out. There were 2 pools but most people were on the beach so we often had the pool to ourselves. Our housekeeping lady was just lovely and when we had a mosquito issue she brought us everything we needed to over come it. Will definitely be back. Our flight was delayed by 3 hours so we arrived late one evening and too late for dinner but the hotel had provided some light plates in our room on arrival. We stayed for 7 nights in room 39, a 1st floor garden room with a lovely covered terrace overlooking the 'new' lap pool and a view towards Harold's Bar and the beach.There is some traffic noise from the main road from the front of the hotel if you leave the windows open. There was a King size bed, the bedroom was beautifully furnished and we were very comfortable with air-conditioning and fans. The bathroom was also large with bath, separate shower and double sinks. We also had a fridge and fresh drinking water is provided twice daily by the staff. There is no TV in the room but we certainly didn't miss that during our relaxing luxury break - there is a TV lounge near the reception and also tablets for guests/internet use etc. Towels for the room and the beach are provided daily and there is a nightly 'turn down' service. The hotel only has c.50 rooms and is one of the 'Small Luxury Hotels of the World'. There are lots of staff - all friendly and attentive. We had breakfast in the lovely restaurant, open to the gardens, each morning, apart from one where we had our pre-ordered (the night before) breakfast served on our terrace. The choice and service were always excellent. As well as a huge buffet - hold and cold - there was also a menu to choose other items from such as Eggs Benedict, Waffles and Pancakes. We ate in the restaurant in the evening twice - once was a carvery style buffet after the hotel's cocktail reception and the other was a la carte, which was superb. Many non-residents visit the restaurant in the evening given its reputation and quality. There is live music played in the evening that adds to the atmosphere. There is a well-equipped gym and two small swimming pools but I hardly saw anyone in them during our stay as the hotel is also on the beach. The beach area is quite private and close to Harold's Bar - which serves lunch (I would recommend the chicken wrap and the shrimps) as well as drinks until 7pm. Sunbeds are comfortable and again the staff look after you well, providing fresh towels, jugs of cold water and fruit sorbets at 11am each day. You can walk along the beach either way to other hotels, including the Coral Reef Club, a sister hotel with spa facilities or the beach sports bar (Surfside) which shows the top football, cricket and rugby matches. Guests can have a free 30mins speed boat trip every day to see the west coast of Barbados and use of the other non-motorised boats and canoes. We also hired a jet ski for US$60 for 30 mins. The boat staff were all very friendly and knowledgeable about the coastline. The hotel were able to arrange golf at a nearby course and even provided me with some golf balls to lose (a recent guest had left some behind)! We will certainly return to this hotel. They make you feel very welcome and do their utmost to make you enjoy your stay at The Sandpiper. I can see why many of the guests having been returning for many years and are well known to the staff - many who are very long serving. OMG -- this place is to die for. Well, maybe not to die for, but close. My husband and I have traveled the world and when I say that the service at The Sandpiper rivals The Ritz and The Four Seasons put together, I know what I'm talking about. The Sandpiper isn't for everyone. If you want a super luxurious room with all the amenities (TV, Kurig, etc), this is not the place for you. If you want to unwind in an unpretentious but lovely, clean, and comfortable hotel with gorgeous gardens, unparalleled service and attention to detail by the staff, and a terrific beach, you can't go wrong. We had a garden view room and it was lovely. The bed was super comfortable, the bed linens were wonderful (I'm into bed linens and I judge a hotel based on this often overlooked creature comfort), the bathroom was recently redone, and the service was beyond the beyond. Every single staff person we came in contact with was lovely. Everything is done with a smile and it's not just for show. The staff here are very obviously treated very well by management and it shows. Whatever you request, consider it done. The beach is pristine, the water is gorgeous, the lounges are comfortable, the guests are friendly and warm -- one can't find fault and I'm picky. If I had to make suggestions, it would be to mix up the breakfast buffet a bit. We were guests for 2-weeks and even though the breakfast buffet is plentiful, a larger selection of cheeses and pastries would be welcome. It's a minor complaint and believe me, I'm looking hard to find fault. This hotel is perfect in every way. We'll be back. And we plan on bringing friends with us. There honestly wasn't one minute when we weren't completely happy here. If you like noise and loud music and night life, look elsewhere. This is a hotel for those of us who want to wind down and relax. Oh -- one MAJOR suggestion: get the treadmill that's out-of-order fixed and fast. You need to have more than one working treadmill. Luckily, when I'd go to the fitness room, no one was on the treadmill, but it could have not been fun if someone was already using it. You don't want to have to wait to be able to exercise. Sort of takes the fun out of the misery! Great tennis pros who give free tennis lessons every day between 4-6pm. Keep it coming! Wonderful, comfortably heated new lap pool. Really -- everything about this place is terrific. Can't wait to return.